For very long time I would stamp and emboss but would not come up with a finished card. No inspiration. About 8 months ago I started going to a gim and take two of my kids to swim there. I get the needed exercise and it is very good for the children. Almost everything closes till September and the gym is open all year round. Also in preparation for school I was cleaning and sorting clothes and toys, so it would be easier to clean the apartment and retain order. After my kids made some cards, I had a good idea for a teacher's card. The 1st of September is the first day of public school and it is a good occasion for a card. I wanted to mix various stamps and have some images of autumn, summer and school. This is my eldest son Yegor's picture on the first of September. 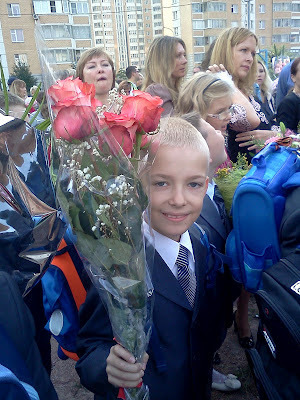 This year he will finish the fourth year of the elementary school and we'll be taking exams to get into high school. I am entering this card into Simon Says Stamp Back to school challenge. I have just learned that we'll have a new teacher, so good I have made two of these, just in case I have some stamping accident. So I can thank the old teacher and greet the new one! I am trying to be frugal and use up the stamped background and images I already have. Cards are like hot pies - there're never enough:) This is the card I came up for the recent clean and simple challenge by Hero Arts. Such gorgeous cards, the colors are beautiful! The children in France have another two weeks before school begins, it is so long! Our weather is tropical, too much heat and it is hard to cope with it..
Hope you are well dear friend! Absolutely BEAUTIFUL cards, Maria! 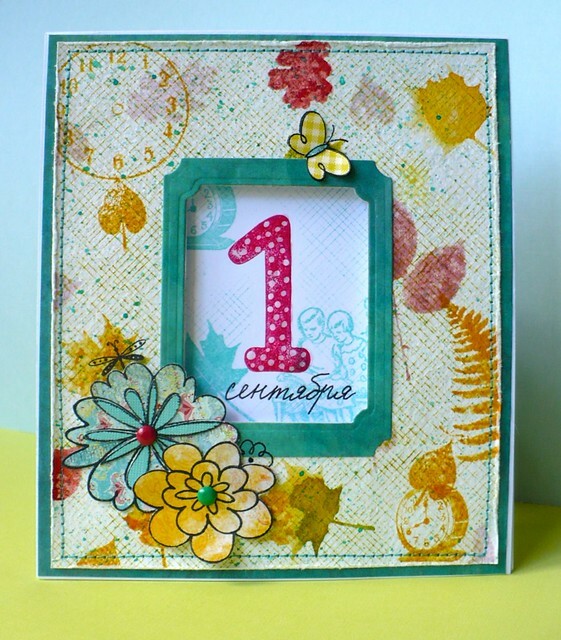 :o) I really love the colour combinations you've used! Love that you have used the date to celebrate the 1st day of school. Great colors on these cards as well. 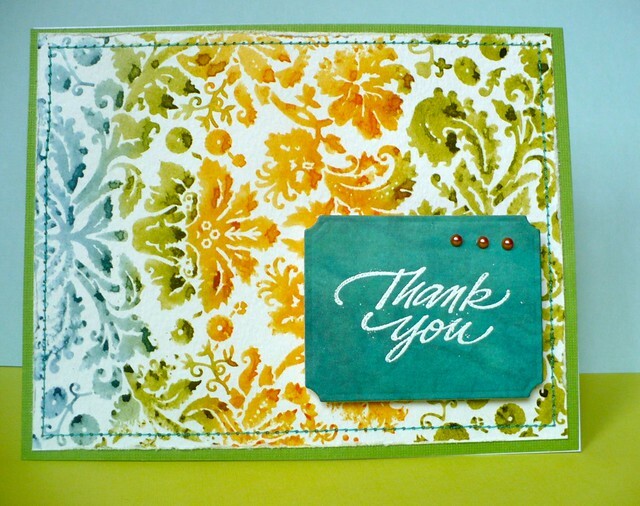 Thanks for playing along with the Back to School Challenge at the Simon Says Stamp Challenge Blog!